The annual prep baseball tourney kicked off March 16. Durant, Plant City and Strawberry Crest’s baseball teams have spent their spring break hard at work in the annual Tony Saladino Tournament. Both Plant City and Crest got off to hot starts in the tournament, outscoring opponents by a combined total of 23-4 and 17-2, respectively. Durant put up a 1-1 record in pool play through Wednesday, starting with a Saturday loss and bouncing back for a Monday win. The Raiders got their Saladino days started with a 7-3 win over Plant on March 16, led by Hunter Emerine’s two hits, three RBI and a run scored at the plate. Plant City scored four runs in the first inning and held a 5-3 lead going into the top of the seventh, when the Raiders managed to put two more runs on the board. Plant City followed up with a 16-1 win over Blake that ended after four innings by mercy rule, mostly thanks to a 13-run explosion of offense in the second inning. It was a chance for the Raiders bench to get some game action while the starters rested. Eight Raiders finished with at least one hit and seven with at least one RBI. Crest started hot with an 11-1 win over Chamberlain that saw a steady stream of offense from the “home” team. Crest scored four runs in the first and third innings, one in the fourth and two in the sixth, and compiled a total of 11 hits while also reaching base on five Chamberlain errors. The Chargers weren’t able to keep that same energy against Bloomingdale for much of their March 18 game, trailing 1-0 to the Bulls until the sixth inning. That’s when Crest’s offense woke up and put all six of the team’s runs on the board, and the Chargers defense was able to keep Bloomingdale’s batters on lockdown for the next two innings to secure the 6-1 win. Durant gave Sickles a run for its money in a 7-6 loss that saw the Cougars nearly complete a mid-game rally. The Cougars held a 3-1 lead on the Gryphons after the first inning, but a six-run second inning gave Sickles all the runs it would need throughout the rest of the game. 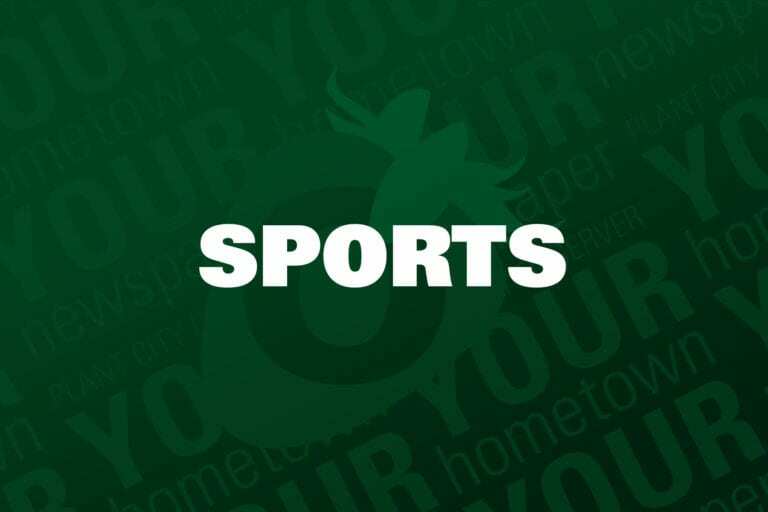 Durant did put three runs on the board during the fourth and fifth innings to make things interesting, but Sickles’ pitching and defense got the better of the Cougars in the sixth and seventh frames. Against Armwood March 18, the Cougars’ luck turned around and led to a 4-3 win. The Hawks held a 1-0 lead through five innings of play, but Durant pulled ahead in the top of the sixth. After Armwood answered with two runs of its own in the bottom of the sixth, Durant came through with two runs in the top of the seventh to pull ahead and pitched well enough in the bottom of the inning to get the win. All of Tuesday’s tournament games were pushed back to Wednesday due to the weather. Wednesday’s results were not available at press time. The Saladino Tournament will continue all day today and wrap up after Friday’s 7 p.m. championship game. Wednesday’s games will continue to be split between Lennard, Brandon and Jefferson high schools and the University of Tampa. All of the Thursday and Friday games will take place at Brandon High School.